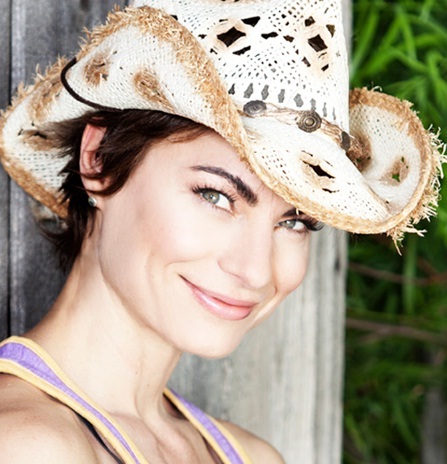 Today’s guest on CSReview is a Hollywood science fiction actress and a woman of many talents with an amazing professional record – Traci Dinwiddie! CS: Welcome to CSReview, Traci. I am truly honored to have you here. You are an award winning actress, now also a screenwriter and a singer. Does wearing many hats wear you out, or, perhaps on the contrary, gives you an extra boost and inspiration to create something new and exciting? Traci: Thank you so much for your interest in my work! Wear me out? Oh, quite the contrary! I’m a multi-hat wearing kind of woman. It’s extraordinary to live a rich, full life. Being busy doing what I love titillates me. CS: From one sci fi fan to another – Han Solo rocks! And so do Star Wars. I really do not know what we’d do without them… do you imagine your life could turn out differently if not your early exposure to science fiction? What are the ultimate lessons of science fiction that you carry with you through life? Traci: I hear ya. Love me some Han Solo. The ultimate lesson in sci-fi would be that anything IS possible! CS: Who is your Yoda, your Grand Master? What would you like to learn that’s missing in your professional career today? Traci: My Yoda is my yoga. On the simple side, I’d like to learn French. I’m also really flirting with the idea of going back to college and finishing just because I can and I love to learn. The only real thing missing in my career today is a series regular role in a new badass sci-fi TV series! Come on, Universe! Bring it! CS: You know what they say… if you want something really badly, Universe will move with you to deliver. If you’re determined, things will happen! What is most special and most hard thing to do when acting in a science fiction film? Does it differ from anything else you’ve done on screen? Traci: Sci-fi is my heart’s love. It’s always mind-bending. I must give a deep bow to the sci-fi fandom. We are a special breed. Hardest thing: keeping my eyes open after they were ‘burned out of my skull’ while crying in Bobby Singer’s (played by Jim Beaver) arms in episode 401 of “Supernatural”. CS: If you were a Star Trek character, who would you be? Why? I think Star Trek 2009 was absolutely brilliant. Do you want to see another Star Trek sequel, if yes – would you want to be a part of it? Traci: Loved it, too. I’m eager to work with J.J. Abrams. I would have played Spock’s mama, Amanda Greyson, hands down. Sorry, Winona. Ya haven’t anything on MY eyebrows! Yes, I would dive into some Star Trek sequel action without hesitation. CS: You’re on your way to creating a new web series. This is a new medium that continues to win the audience. What are the key components of producing an ultimately great web series? Traci: I hope I have the ingredients right. I’m a huge social media participant. Web Series need quick, exciting story lines to follow, brilliant editing, and unique style. These are designed for those who’ve busy lives. I want to leave my audience inspired and eager for more. CS: How does trying yourself in a new, more technical role of a producer, reflect on your acting? Traci: It’s empowering to produce films in which I act. I dig knowing that I’m creating work for myself, and I hope it inspires others to manifest their own desired work. As one of my mentors, Marianne Williamson says, “And as we let our own light shine, we unconsciously give other people permission to do the same.” While producing and acting does require a bit of a juggle, it’s completely do-able. When I’m on the set as an actress, I delegate producer responsibilities appropriately, so I can simply focus on my craft. It takes a good instinct for hiring your team. I’d like to think I’ve got that instinct. CS: If you had to go through a Stargate, which planet would you pick for your destination, and what would you find there? Traci: Ah, yes. My Stargate would take me to Neptune where the atmosphere is pure water in which one can breathe. All movement would be lyrical in its effect simply by the fact that the local beings are living in a water world. It’s a dreamy place with the essence of poetry, light, and dance where a person can restore after working their buns off on Earth. I’m a bit of a romantic, I admit. CS: I love alien planets! Well, Traci, thanks for a great sci fi chat! I’m glad you stepped by and I wish you all the best and all the greatest achievements in life and on screen!